Get your vehicle appraised by us today. Browse the special offers of the month. Apply to our finance department. Service your vehicle with out trained technicians. 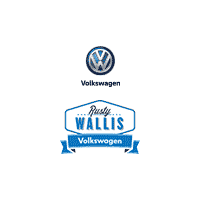 Rusty Wallis Volkswagen has earned the trust of our loyal customers that travel dozens of miles from cities like Richardson and Frisco to visit our Garland, Texas dealership. Stop by to test-drive the Volkswagen of your dreams. We are conveniently located in the heart of central, Texas, just off Interstate 635. My wife and I bought a 2013 Beetle TDI so she could have transportation for work. We walked in at 7PM on a Friday and after a test drive we went through a quick purchase (preapproved bank loan) and walked out with the keys. We had a minor issue with the vehicle's sun roof where it would whistle after driving at highway speeds. We didn't notice it on the test drive but it may be because we didn't open/close the sunroof. At any other dealer this may have been a problem. However Rusty Wallis stepped up and had their service department fix the problem. They provided a loaner that we could use while the vehicle was repaired. They also agreed to transport the vehicle halfway to our house since we lived 4 hours from the dealership. They were very accommodating and ready to stand behind their vehicle. I definitely recommend this dealer and would not hesitate to work with them again. I took my 2014 Jetta S/W in because the tire pressure light came on. They have Nitrogen for my green capped tires. After they brought the air pressure up where required, they also washed it and cleaned the interior. The best part, no charge. Yes I will use them for future service. I went here after going to Autozone & Pepboys to replace a single lightbulb for my break light. Autozone said they couldn’t help and pep boys had a 2 hour wait so I went to the dealership. They had me in and out and didn’t charge me & washed my car. It was a huge relief as I was stressing over how much it might cost. Super friendly staff & quick & amazing service! I would recommend to my family & friends. Definitely going back! We stopped in to look at myself a new work vehicle. We worked a deal I was happy with for a new 2018 Golf. My wife has always wanted a Beetle. They had one on the lot that we liked. We decided to entertain the idea of trading in her car. Little did we know they would worked another deal we were happy with. We now own a Golf and Beetle. No pressure to buy either one, Everyone at the dealership we met was very nice. Rusty Wallis Volkswagen	32.8667465, -96.6630603.